The Inverness Development Association and the Inverness County Accessibility Committee partnered to purchase two beach-friendly wheelchairs, mats that make it easier to walk on the sand and two floating chairs that allow people to go in the water. Christine Hannigan's delight is evident as she sits at the water's edge watching the waves crash on Inverness Beach in Cape Breton. "You never thought you'd ever do this?" says the woman pushing her along the sand in what looks like a lawn chair with large rubber wheels and a Velcro strap for safety. "Oh my gosh. I guess not," replies the 74-year-old Hannigan. "You'll be on the bus every time now," says her companion. "Oh yeah, if we're coming down here," says Hannigan. They're part of a group from a nearby seniors' residence visiting the beach to try out the new equipment. Hannigan said she doesn't get to the beach often, but now it will be much easier. "I'm just amazed. I never thought we'd have this," she said. The Inverness Development Association (IDA) and the Inverness County Accessibility Committee partnered to purchase two of the beach-friendly wheelchairs, mats that make it easier to walk on the sand and two floating chairs that allow people to go in the water. "There's a healing within coming to a beach and I think everyone across Canada can relate to it," said Rose Mary MacDonald, IDA's vice-president. The new equipment is part of a larger project that included creating ramps, parking spaces and accessible bathrooms. MacDonald said while her research found other beaches have made efforts to be accessible, she didn't find any in Atlantic Canada that offer the whole package Inverness now does. "Doesn't matter if you have mobility issues, if you have problems with your feet and can't walk, problems with your grip, we looked at everything that we could do on this site to make it fully accessible," said MacDonald. Callum MacQuarrie, a self-professed "beach bum" who was paralyzed from the neck down in a diving accident on Inverness Beach 23 years ago, was a driving force behind the project. "For years, I sat up on the boardwalk … with the breeze from the water and the smell of the saltwater — you just can't beat it. I'm still a beach bum, but I'm not on the beach. But now I can be," he said. He also said it makes him feel good to watch others experience the beauty of the beach. MacDonald is ecstatic about the work that's been done. "It's an emotional time," she said. "We're very proud and I think our people are proud of what we accomplished here." 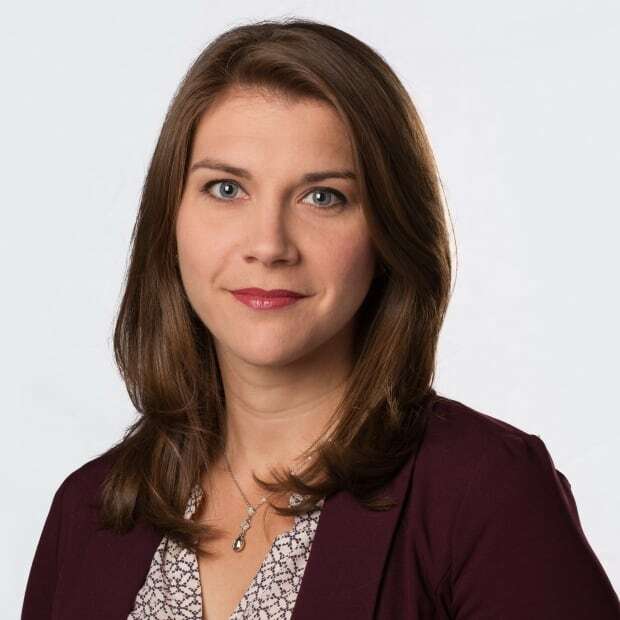 Kayla Hounsell is a network reporter with CBC News based in Halifax. She covers the Maritime provinces for CBC national news on television, radio and online. She welcomes story ideas at kayla.hounsell@cbc.ca.